In our previous blog “Tips for building a productive virtual office” we discussed the benefits of holding regular meetings. We talked about ways to have virtual meetings using technology and briefly talked about using actual physical meeting spaces. Now lets talk more about the benefits of using actual meeting rooms over virtual meetings. There is very little that employees can not do today in a virtual office environment that they could not do in a a physical office space, but sometimes an actual meeting in person trumps technology. There are many meetings that are best suited for teleconferencing, Skype or Google Hangouts for the sake of saving time bringing a team together for a meeting, but there are others that are best conducted in a meeting room or a conference room. Focus can be better managed in meeting room or a conference room, you and those in the meeting won’t have to battle with the distracting nature of teleconferences or video-calls. 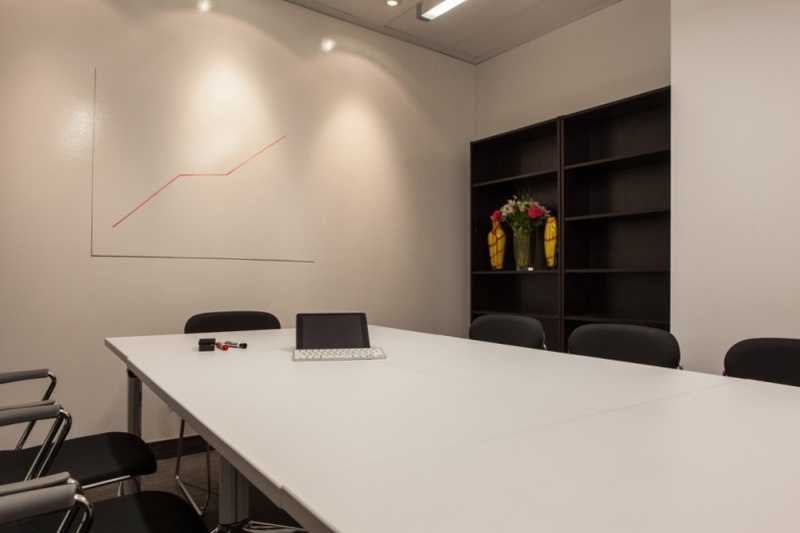 In a physical meeting room, you can set up a whiteboard in the meeting room to have the ability to brainstorm ideas, bouncing ideas off one-another face-to-face. With your meeting group physically present in the conference room can truly have the added benefit of keeping everyone on task without multitasking while teleconferencing in. As the person conducting the meeting, being able to see what people are doing while in a meeting room is a great way to ensure that they are not distracted by Smart Phones, Tablets or other devices that you do not see when you are having a teleconference. Not only are you able to keep out distractions, you are also able to ensure that everyone is paying attention and is able to interact with the task of the meeting. Getting your staff or other meeting attendees into a meeting room or conference room can change attitudes, having to leave the comforts of a home or remote office means being prepared. They know that they can not just zone out while “Joe from R&D” explains the challenges of getting the new product or service to customers. Knowing that they had to come out to a conference room to attend this meeting, tells them that it is a very important meeting that they really need to pay attention to. Sometimes a rented meeting room or training room comes with technology and other features that just can not be fully utilized over a video call. Features like full wall whiteboards that allow for multiple people to work on collaborative projects at the same time, while being able to look over at what other people writing or saying about what they are doing. Yes, some will say that there are virtual whiteboards available through online conferencing platforms, a great deal of collaboration can be missed because of different people connection speeds. Again, many small businesses do not have the facilities to accommodate large meetings or conferences (especially when most of their staff work remotely), so they look to office business centres like Telsec. They know that Telsec is not just a rented conference room, they know that they have various sized conference rooms and the technology that a small business needs to have a successful meeting or conference. Another advantage to an office business centre is that they can offer breakout rooms that allow smaller groups to go off and discuss ideas to bring back to the larger group. Don’t forget what the benefits of a change of scenery can do for productivity of your team that can not be replicated in a home office with an over the phone meeting, attendees get to have face to face time with others that they normally do not have. All day meetings or conferences usually mean a catered lunch or at minimum a lunch break that allows staff to have some social time with other that they do not get to have most of the time.